SmartAsset created this list of the top financial advisor firms in Des Moines after in-depth research and analysis. In tables and in reviews below, we highlight what each firm charges in fees, what its minimum account balances are and how it invests client assets. To find an individual advisor, use SmartAsset’s financial advisor matching tool, which will pair you up with financial advisors near you based on your needs. For information on every advisor in your area, explore SmartAdvisor Match. Any firm that is registered with the U.S. Securities and Exchange Commission (SEC) and operates in Des Moines was considered for placement on this list. However, firms that had no financial planners, had disciplinary issues on record with the SEC or didn’t manage individual accounts were eliminated. The remaining firms are listed below, ordered from the most assets under management (AUM) to the least. Gilbert & Cook, Inc. is an independently-owned advisory firm based in Des Moines. It currently holds more than $400 million in assets under management with an investment-advisory team of just eight. The firm offers financial planning and consulting as well as individual investment advisory services. According to recent filings with the SEC, the firm primarily works with individuals, most of which are in the high-net-worth category. In fact, you need a minimum initial investment of $1 million to receive investment advisory services from Gilbert & Cook. Some representatives of the firm, however, are registered to sell certain securities and may earn commissions from such recommendations. This may pose a conflict of interest. Nonetheless, the firm works under the fiduciary standard, so it’s required to place your best interests ahead of its own. Gilbert & Cook was founded in 1994. However, it has been an SEC-registered investment advisor since 2006. The firm is owned by Marlis A. Gilbert, Linda Lundstrom Cook, and Christopher C. Cook. The firm charges asset-based fees that can range to up to 2.25%. Financial planning fees can range from $150 to $28,000 on a flat basis. Hourly rates, however, can’t extend beyond $350 per hour. But unlike some of the firms on this list,Gilbert & Cook offers more specific services such as divorce planning. In addition, the advisory staff collectively holds six certified financial planner (CFP) designations. The team also features certified divorce financial analyst (CDFA), certified public accountant (CPA), accredited domestic partnership advisor (CDPA), and accredited wealth management advisor (AWMA) credentials. Gilbert & Cook also monitors the performance of these managers on an ongoing basis. Under the Managed Account Select Program, clients have access to the Schwab Center for Financial Research and access to a range of prescreened money managers across various investment styles. Account minimums through this program are $100,000 for Stock/Equity Managers and $250,000 for Bond/Fixed Income Managers. The Legacy Financial Group is an SEC-registered advisor that first opened its doors in 2010, making it one of the youngest firms on our list. But in its short spree, it has accumulated more than $300 million in assets under management (AUM). And unlike several advisors, Legacy Financial Group specializes in actively managed portfolios. In other words, the firm generally considers asset allocations that aim to outperform market benchmarks. 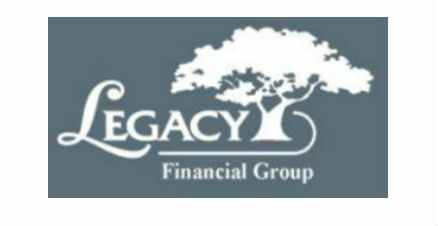 Legacy Financial has been in business since 2010. The firm is wholly owned by Spectrum Wealth Advisors. However, the firm serves in a fiduciary capacity. This means it is required by applicable law to place the best interests of the client ahead of its own. The firm’s staff includes one certified financial planner (CFP). This title is considered a major credential in the financial advisor space. To earn one, you must go through a series of rigorous examinations and training. Legacy Financial focuses on actively managed investment portfolios. This strategy involves utilizing research, analysis theories and other resources to select investments that may have potential for major return. Unlike passive management strategies, active investing aims to outperform a market benchmark as opposed to mimicking it. However, such investments are generally more heavy on the fee side. At Lincoln Financial Group, you’d be charged an asset-based fee for investment services. The maximum is currently 1.25% of your assets under management. These fees are billed quarterly on a pro-rata basis. Fees for financial planning generally range from $150 to $250 an hour. A fee-only firm, West Financial Advisors, LLC has six financial advisors on staff. The team collectiveley features three certified financial planners (CFPs), one chartered financial analyst (CFA), three certified public accountants (CPAs), and one retirement income certified professional (RICP). Individuals and their spouses make up the majority of this firm’s client base. More specifically, the firm serves new parents, active retirees, empty nesters, entrepreneurs, strong women and emerging executives. The firm does not have a set account minimum. However, the firm is focused on serving high-net-worth investors, defined as households with a least $1 million managed by the firm or individuals with a net worth exceeding $2 million. Husband and wife financial advisor duo, CIO Brian West and managing partner Laura West, independently own West Financial Advisors, LLC. The firm was founded in 2006, but its advisor team has an average of more than 18 years in the financial industry. This firm manages portfolios for many different types of clients and its offered services are equally as diverse. The firm’s most used services are financial planning, retirement and estate planning, insurance evaluation and tax minimization. Depending on what’s easiest for you, the firm will hold meetings with clients either in-person or online. Before the portfolio construction process can begin, West Financial Advisors, LLC likes to make sure that it knows exactly what your desired investment style is. To do this, the firm will schedule a face-to-face consultation to learn about your risk tolerance level and time horizon. These guidelines are then taken into consideration to figure out how your portfolio will be diversified across asset classes. This firm enagages in active management and believes that rebalancing your account according to market changes as important as designing your original asset allocation. But because success can be defined in more than one manner, the firm uses previous performance benchmarks to determine how well your portfolio is performing.